Limerick's Kyle Hayes with Richie Hogan of Kilkenny during their side's All-Ireland SHC quarter-final clash at Semple Stadium, Thurles. The latest update on Richie Hogan’s fitness is positive news for Kilkenny supporters. Concerns over Hogan’s long standing back injury resurfaced earlier this week after he lasted just over 20 minutes of Danesfort’s SHL clash with Erin’s Own (Castlecomer) last weekend. The 2014 ‘Hurler of the Year’ missed most of the Cats’ recent league campaign due the injury but the Irish Daily Star reports today that his withdrawal was a precautionary measure. 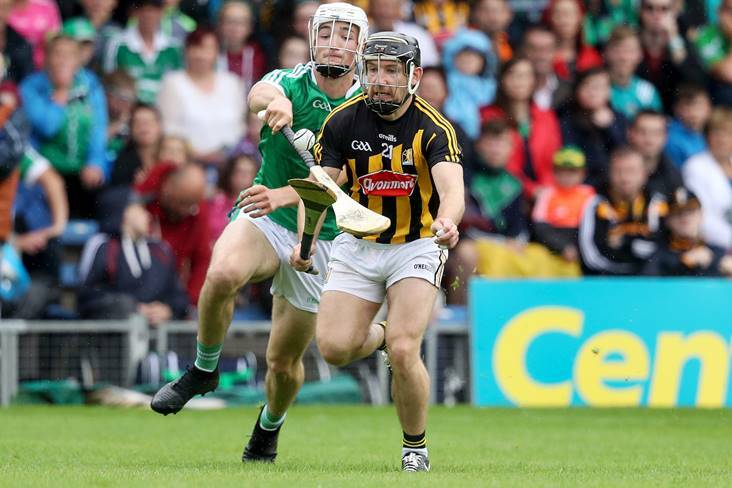 Kilkenny are due to open their Leinster SHC campaign against Dublin on May 11 at Nowlan Park. Brian Cody and his selectors will definitely be without the services of James Maher who has an ankle injury.